Redefining Beauty, an online beauty store, will be launching Australia’s first Digital Vending Machine containing the highly sought after Sigma Beauty brushes in November. Sigma brushes, favourites of celebrities and YouTube stars, will be available at a yet to be disclosed shopping centre in Melbourne, reaching shoppers just in time for the Christmas rush. “This will mark the first time many Australians will be able to purchase Sigma products at a retail location in Australia,” said Shanti Fresco, Marketing Manger for Redefining Beauty. “It’s a new concept that we want to introduce to the local market, something we’re quite confident will be embraced by Australian makeup artists and beauty enthusiasts alike,” she added. Digital Vending machines have proven successful overseas, from cupcakes in New York City, gold chips in Dubai, Lego blocks in Munich, and here in Australia, the iconic Havaianas flip-flops. Digital Vending has been hailed by some as the future of retail, although Australia has seen very few of these types of machines so far. In launching this machine, Redefining Beauty will bring Sigma’s makeup brushes, kits, and accessories within easy reach of consumers, and they won’t have to wait to get it shipped! 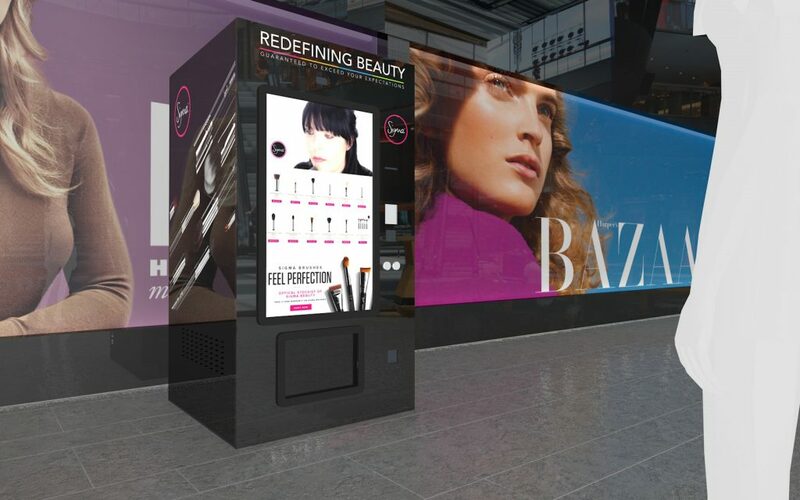 This will be the first beauty digital vending machine in Australia and the first time makeup brushes will be available through a vending machine in Australia.